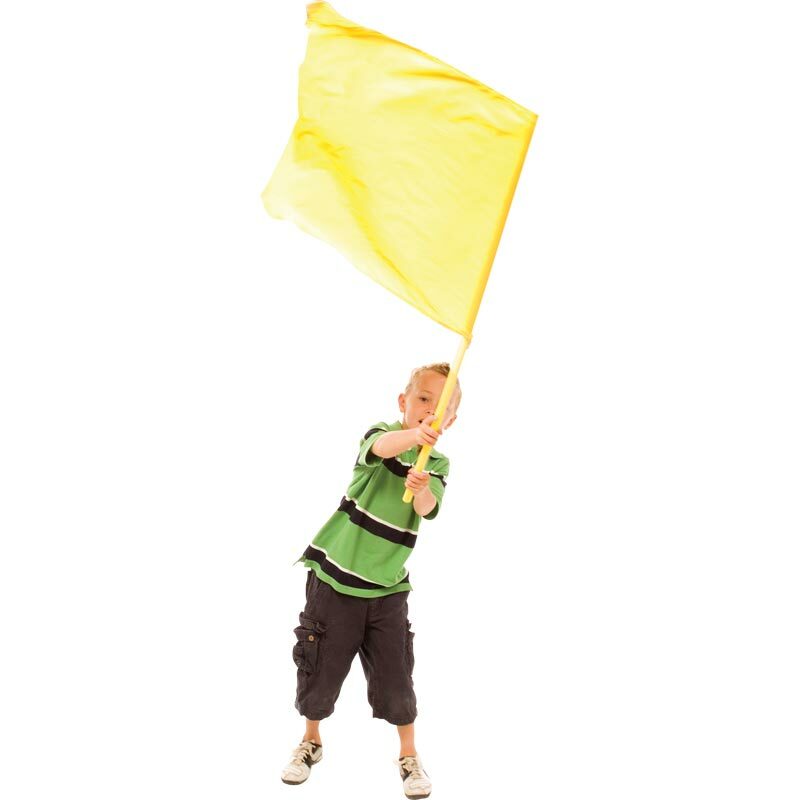 The PLAYM8 ® Dance Flags are large bright flags will give visual impact to dance and rhythm activities. Each flag is 60cm square. Is attached to a 120cm flexible pole. Will create a 'whipping' sound when they are moved quickly through the air. One of each colour: red, blue, green, orange, purple and yellow. I run a small Israeli dance group and we decided to dance with flags. 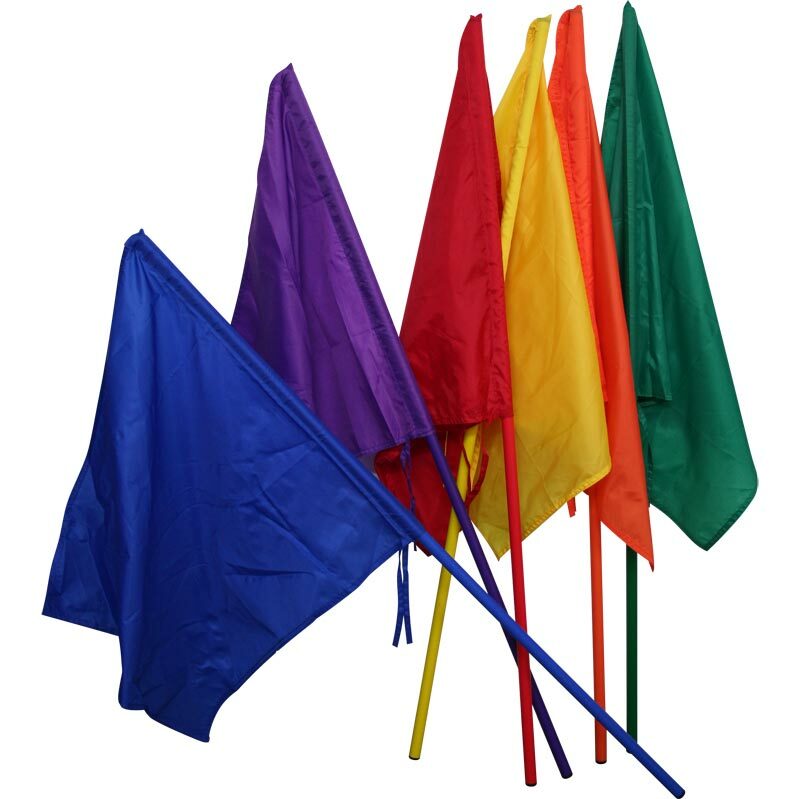 These flags are ideal as they are in amazing colours, aren't too heavy for the older ladies to hold and not to big as the ceiling isn't that high. So pleased with it that I ordered a further pack.